Tasting Method: Strict tasting rules were applied. The order of service was established beforehand by lottery. 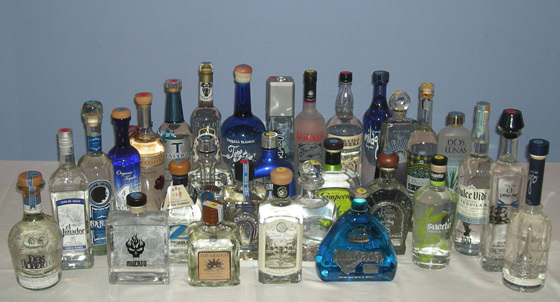 The blanco tequilas were served "blind". Each were poured into fresh glasses from new sealed bottles, and served at slightly above room temperature. Only ice water and neutral unflavored, unsalted bar snacks were available to cleanse the palate. The judges tasted through 4 flights of 7 tequilas plus 1 flight of 2 tequilas; with food served during a rest period after the second flight. Impressions of each individual product were written down by the judges on score sheets. The scoring was done on a 5-point system, with 5 as the best. Double-Gold, Gold and Silver medals are awarded based on a set range of final point scores received from the judges. 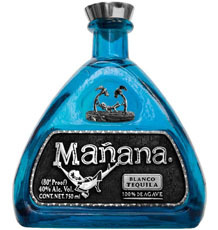 Due to the judges' unusually high scores for this blanco tequila tasting, there were no Bronze medals awarded. The tasting notes are summaries of the judges’ opinions, with all replicated commentary eliminated. Nose: Vanilla, butter, agave, herbal, fresh cut grass, anise, spicy, jalapeño. 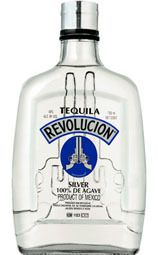 Palate: Mint, eucalyptus, licorice, fruity, butter, cream, nougat, pepper, grass, agave, smooth, fresh, well-balanced. Finish: Fresh mint, peppery, spicy, smooth, mellow. Nose: Mint, agave, slight citrus, fig, green beans, apple pie. 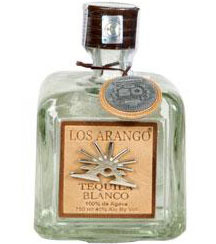 Palate: Spearmint, creamy vanilla, toffee, tropical flowers, bit of orange, hot pepper, wood barrel. Finish: Oaky, wood, spicy, smooth, clean, rich, long. 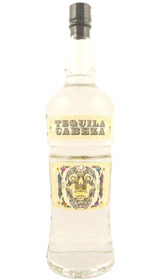 Nose: Citrus, Sprite, fruity, faint agave, minty, spearmint, pepper, capers, olive, pleasant. Palate: Caramel, sweet vanilla, hint of cherry, pear, apple, floral, pepper, wooden barrel, toast. Finish: Mint, slight herbs, sweet, tropical flowers, clean, nice, even. Nose: Spearmint, citrus, honeysuckle, agave, bison grass, grassy. Palate: Agave, grass, mint, fennel, pepper, warm butter, vanilla, toast, oaky, earthy, coffee. Finish: Hot peppercorns, figs, dates, mineral, crisp, long. Nose: Faint caramel, vanilla, chocolate, banana, pepper, jalapeño, grass. Palate: Mint, caramel, honey, vanilla, creamy, buttermilk, cream soda, chocolate, pepper. Finish: Wood barrel, jalapeño, spice, creamy, smooth, well-rounded. Nose: Espresso, spearmint, lemon, mild citrus, caramel, cream soda, vanilla, banana, pepper, grass. Palate: Cappuccino, creamy vanilla, nougat, sweet cream, honey, rich chocolate, pear, citrus, mint, grass, pepper, ultra-smooth. Finish: Citrus, lemon, fig, vanilla, coffee, clean, dry, fresh, smooth, mellow. 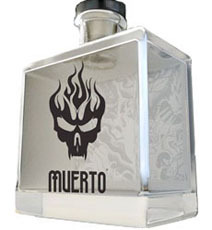 Nose: Light agave, citrus, caramel, vanilla, peppercorn, anise, bay rum, mineral. Palate: Peppercorn, roasted pepper, pepper, jalapeño, butter, creamy, vanilla, floral, earthy. Finish: Spice, smooth, clean, silky, long. Nose: Slight pineapple, melon, dates, vanilla, faint caramel, chocolate, agave. Palate: Mint, toffee, caramel, sandalwood, herbal, cinnamon, even pepper, light, unreal smooth. Finish: Minty, toasted agave, soft, smooth, nice slow fade. Nose: Coffee, Golden Graham, caramel, molasses, herbs, spearmint, agave. Palate: Cocoa, toffee, creamy, buttery, berries, almond, cactus sugar, mint, pepper, new wood, smooth. Finish: Minty, peppery, woody, smooth. Nose: Soft citrus notes, tropical fruits, fresh cut grass, soft peppercorn, cream, buttery, nutty. 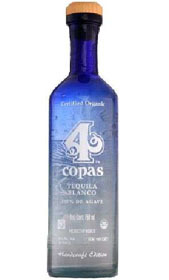 Palate: Tropical fruit, citrus, pear, cola, toffee, vanilla, cream soda, caramel, nutty, smoke, earthy, floral, agave, pepper. Finish: Cream soda, citrus notes, grassy, clean, fresh, smooth, slow fade. Nose: Toffee, fruity, plantain, agave, vague butter. Palate: Sweet cream, minty, agave, grassy, anise, jalapeño, pepper, white pepper, herbs, cinnamon, sandalwood, nutty, woody, earthy.. Finish: Earthy, soil, spicy, complex, smooth, mild, long. Nose: Café au lait, vanilla, cream soda, caramel, hazelnut, floral, pepper, citrus. Palate: Coffee essence, spearmint blast, licorice, anise, pepper, sweet pepper, spicy, wood, tart, so smooth. Finish: White pepper, spicy, wood, heavy tanins, dry, smooth, long. Nose: Citrus, light agave, herbs, cream soda. Palate: Hot pepper, spicy, peppery, white pepper, anise, hint of caramel, creamy, honey, sweet vanilla, figs, berries, flowers, olive. Finish: Coffee, espresso, black pepper, clean, crisp, medium-long. Nose: Caramel, butter, creamy, vanilla, Golden Grahams, toffee, cola, banana, minty, agave, clean. Palate: Caramel, cream, big mint, eucalyptus, toasted wood, peppercorn, big pepper mid/back palate, well-balanced. 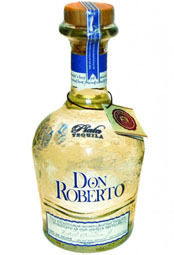 Finish: Nice agave, soft, smooth. Nose: Faint pepper, nutty, toffee, cotton candy, citrus, lemon, pear, subdued agave, bread, toast. 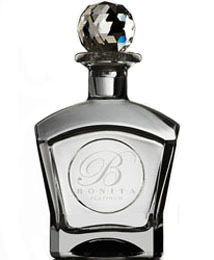 Palate: Strong pepper, anise, figs, citrus, almond, honey, marzipan, pear eau de vie, eucalyptus, agave, earthy. Finish: Citrus notes, spicy, black pepper, jalapeño, very fresh, smooth. 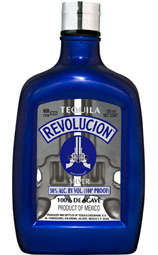 Nose: Caramel, buttery, molasses, faint toasted agave, fruity, vegetative, cut grass, floral. Palate: Honey, vanilla, butter, creamy, toast, pineapple, papaya, fig, dates, agave, grass, tangy. Finish: Creamy, spicy, smooth, easy, mild. Nose: Spearmint, lemon, grassy, green pepper, earthy, welcoming. Palate: Cream soda, cola, dates, cherry, currants, sour citrus, grassy, fennel, agave, nuts, toasted almonds, strong pepper. Finish: Molasses, pepper, spice, soft, dry, clean, elegant, long. Nose: Agave, grassy, tropical flowers, faint. Palate: Caramel, nougat, butterscotch, honeyed herb, pepper, mint, woody, tobacco, mild. Finish: Vanilla, pepper, tobacco, clean, smooth, spicy into fade. Nose: Pineapple, banana, apple, faint lemon, lightly floral, slight mint, sweet, tobacco, leather, woody. Palate: Roasted pepper, pepper, creamy vanilla, caramel, nougat, fig, anise, licorice, almond, sandalwood, earthy, dangerously smooth. 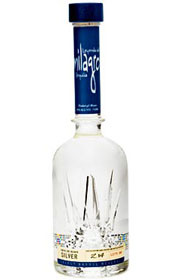 Finish: Touch of pineapple, clean, balanced, mellow, even, long. Nose: Lemon notes, faint butter, agave, pine, slightly grassy. Palate: Flowers, light citrus, caramel, praline, almond, sandalwood, toast, spicy, pepper, jalapeño, wine barrel wood, smooth. Finish: Minty, peppery, toasted sugar, smooth, long. Nose: Strong agave, floral, sour apple cider, earthy, jalapeño, peppery. 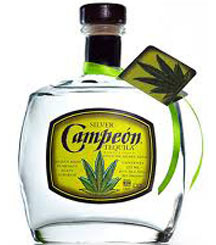 Palate: Agave, grassy, fennel, ginger, peppercorn, pepper, spice, oily, even, smooth. Finish: Olive, pepper, cactus, spicy, dry, long even fade. 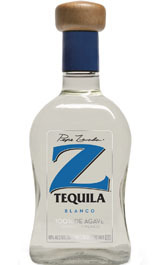 Nose: Faint tropical fruit, bubble gum, vanilla, corn, licorice, pine, agave. Palate: Caramel, honey, butter, creamy, licorice, fennel, citrus, floral, rye, herbaceous, peppery, smoky, smooth. Finish: Orange peel, butter, licorice, spice, clean, smooth, well-balanced. Nose: Bell pepper, melon, rose petals, agave, licorice, caramel, praline. Palate: Tropical fruit, buttery, pepper, spicy, fennel, anise, almost minty, pine, grass. Finish: Fennel, peppery, spicy, nice, clean, even. Nose: Banana, cherry, grape, pear, nutty, strong agave, licorice. Palate: Caramel, honey, butter, citrus, pear, fruit, grappa, sake, floral, nutty, pepper. Finish: Creamy, spicy, soft, smooth, light. Nose: Light citrus, agave, mint, olives, earthy, nutty. Palate: Red pepper, peppercorn, spicy, fennel, herbal, sandalwood, warm butter, vanilla, distinctive. Finish: Red pepper, spicy, agave, smooth, mellow, long. 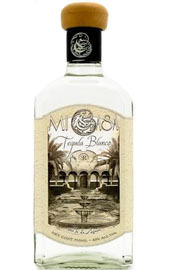 Nose: Vegetal, faint agave, sweet caramel, vanilla, creamy, cream soda, mint. Palate: Vanilla, caramel, nougat, hints of pepper, green olive, grassy, floral, jasmine, lighter than water, smoky, smooth, rich, creamy. Finish: Cream soda, peppery, smooth, soft, clean, crisp, elegant. Nose: Fennel, citrus, fruity, pepper, herbaceous. Palate: Buttery, butterscotch, sweet cream, toast, pepper, spice, sandalwood, agave. Finish: Pear, smooth, crisp, dry, long. Nose: Spearmint, light agave, earthy, herbal, vanilla, caramel, toffee, cream soda, latte. Palate: Butter, cola, floral, sandalwood, agave, anise, grassy, peppercorn, spice, late pepper, smooth. Finish: Grassy, dry, crisp, light, smooth, lingers. Nose: Apple, grapes, figs, citrus, floral, faint agave. Palate: Spearmint, citrus, toast, pepper, spice, herbs, minty, creamy, vanilla, oak. Finish: Red pepper, woody, dry, crisp, medium-long. Nose: Caramel, toffee, vanilla, cream soda, honey, mint, melon, prickly pear, peppery. Palate: Papaya, caramel, butterscotch, tarragon, pepper, anise, agave, mineral, toast, creamy, smooth. Finish: Toasted marshmallow. clean, smooth, mellow, even.